Monk and his partner Orme are rowing down the Thames on an early morning, when a woman shouts and screams and waves to attract them over the Limehouse pier. She's found the horribly mutilated dead body of a woman. As horrifying as the murder is, the case gets stranger and stranger as Monk and Orme investigate. The dead woman is Zenia Gadney, and she was apparently a prostitute with just one customer--the very respectable Dr. Joel Lambourne. Yet this most obvious suspect cannot be the killer, because he's been dead for two months--an apparent suicide. Nor does it appear to be the other obvious but terrifying possibility, a madman killing for reasons that make sense only inside his own head. There are no crimes that look even remotely similar, before or after. And why does the government keep interfering in Monk's investigation? Perry's characters continue to grow and develop. Monk, Hester, and the boy they've taken in, Scruff, are growing together into a family. Their barrister friend, Oliver Rathbone, is coping with the end of his marriage and an appalling legacy from his deceased former father-in-law. And with the causes of their long hostility over and, in Monk's case, in large part genuinely forgotten, Monk and old rival Runcorn start to cautiously rediscover their old friendship. 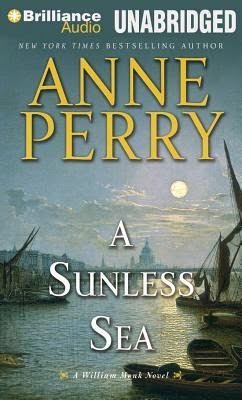 As she often does, Perry also weaves in some of the more challenging features of the history of their period, as Hester, Monk, Rathbone, and Runcorn all struggle with the moral and political complexities as they affect and possibly confound the quest for justice in the death of one unfortunate woman.